ago when we met our first Aussiedoodle at a horse riding camp we was staying at with our daughters. provide doodles have gone on to be trained to be service dogs and some to compete in agility shows. 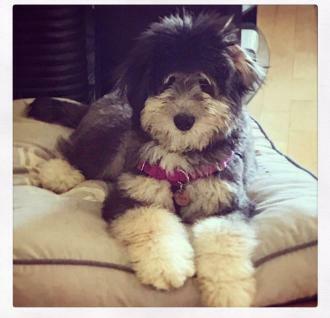 The Aussiedoodle is a cross of poodle and australian shepherd. The Aussiedoodle is non shedding. 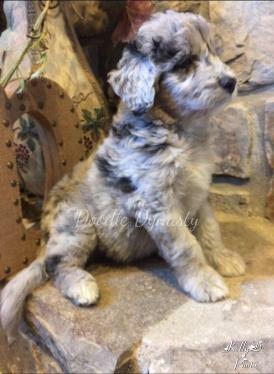 The Aussiedoodle in standatd size can weigh over 60 pounds for the males and up to 90.